On the highest throne in the world, we still sit only on our own bottom. - Michel de Montaigne. 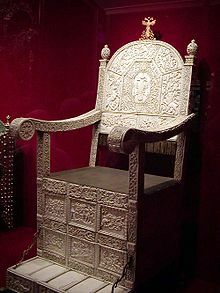 A throne is the seat of state of a potentate or dignitary, especially the seat occupied by a sovereign on state occasions; or the seat occupied by a pope or bishop on ceremonial occasions. 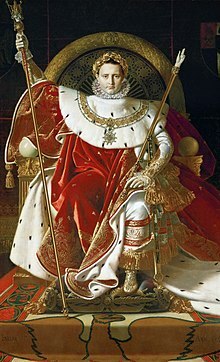 "Throne" in an abstract sense can also refer to the monarchy or the Crown itself, an instance of metonymy, and is also used in many expressions such as "the power behind the throne". If we allow the consideration of heathen morality and heathen religion to absolve us from the duty of preaching the gospel we are really deposing Christ from His throne in our own souls. - Roland Allen. A throne is only a bench covered with velvet. - Napoleon Bonaparte. Roland Allen in: The Ministry of the Spirit: Selected Writings of Roland Allen, The Lutterworth Press, 1 June 2012, p. 37. Annie Besant in:"Annie Besant The Life And Teachings Of Muhammad ( The Prophet Of Islam)", Theosophical Publishing House, Adyar, Chennai [Madras] India. Napoleon Bonaparte in: Shirin M. Rai Ceremony and Ritual in Parliament, Routledge,18 October 2013, p. 23. We read too much Shakespeare at school, and view our parliamentary politics as dynastic drama, in which an impatient crown prince frets at his long subordination and begins to scheme for the throne he knows he merits, was promised and has earned. James Buchan in: William Keegan The Prudence of Mr Gordon Brown, The Guardian, 17 October 2003. Solomon sat on the throne of the LORD as king. Georges Clemenceau in: Hannah Arendt Antisemitism: Part One of The Origins of Totalitarianism, Houghton Mifflin Harcourt, 21 September 2012, p. 127. I kept watching until thrones were set in place and the Ancient of Days sat down. His clothing was white like snow, and the hair of his head was like clean wool. His throne was flames of fire; its wheels were a burning fire. A stream of fire was flowing and going out from before him. A thousand thousands kept ministering to him, and ten thousand times ten thousand stood before him. The Court took its seat, and books were opened. Edward VIII in: Daily Bread for Your Mind and Soul: A Handbook of Transcultural Proverb and Sayings, Xlibris Corporation, 1 October 2012, 143. Edward VIII in: "Daily Bread for Your Mind and Soul: A Handbook of Transcultural Proverb and Sayings", p. 144. I saw Jehovah sitting on a lofty and elevated throne, and the skirts of his robe filled the temple. Seraphs were standing above him; each had six wings. Each covered his face with two and covered his feet with two, and each of them would fly about with two. And one called to the other: “Holy, holy, holy is Jehovah of armies. The whole earth is filled with his glory. may the LORD... make his throne greater than the throne of my lord king David. Moreover the king made a great throne of ivory, and overlaid it with the finest gold. There were six steps to the throne, and the top of the throne was round behind; and there were arms on either side by the place of the seat, and two lions standing beside the arms. And twelve lions stood there on the one side and on the other upon the six steps; there was not the like made in any kingdom. Mahatma Gandhi in: Rob Lee Weinhold Awakened ! : A Conservative's Perspective on American Expectionalism , Xlibris Corporation, 27 September 2011, p. 1092. Two urns on Jove's high throne have ever stood, the source of evil one, and one of good; from thence the cup of mortal man he fills, blessings to these, to those distributes ills; to most he mingles both. Homer in: Alexander Chalmers, Samuel Johnson The works of the English poets, from Chaucer to Cowper: including the series edited with prefaces, biographical and critical, J. Johnson, 1810, p. 156. Robert G. Ingersoll in: Lectures and Essays (a Selection), Watts & Company, 1905, p. 68. 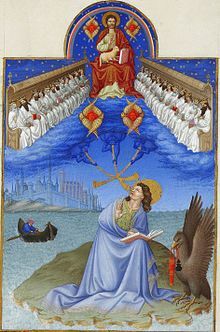 To the abundance of the princely rule and to peace there will be no end, upon the throne of David and upon his Kingdom in order to establish it firmly and to sustain it by means of justice and by means of righteousness, from now on and to time indefinite. The very zeal of Jehovah of armies will do this. James Russell Lowell in: Martin Luther King (Jr.), et al., The Papers of Martin Luther King, Jr: Threshold of a new decade, January 1959-December 1960, University of California Press, 1 January 2005, p. 413. It is more honorable to be raised to a throne than to be born to one. Fortune bestows the one, merit obtains the other. - Petrarch. Michel de Montaigne in: Lead with Wisdom: How Wisdom Transforms Good Leaders into Great Leaders , John Wiley & Sons, 16 December 2013, p. 116. Isaac Newton wrote in discussing with John Locke the passage of Daniel 7:9. The Correspondence of Isaac Newton, Vol. III, Letter 362. Cited in The Watchtower magazine, 1977, 4/15, article: Isaac Newton’s Search for God. John the Evangelist, Revelation 7:11-12. Petrarch in: Jacques François Paul Aldonce de Sade, Suzannah Dobson The Life Of Petrarch: Collected From Memoires Pur La Vie De Petrarch, By Mrs. Dobson : In Two Volumes, Volume 2, Maiden, 1799, p. 102. Bryan Procter in: Robert Chambers, David Patrick Chambers's Cyclopaedia of English Literature:, W. & R. Chambers, 1903, p. 229. Seneca the Younger, Hercules Furens, CCCXLIV. Solomon in: Edward Kardos Zen Master Next Door: PArables for Enlightened Everyday Living, Green Dragon Books, 1 March 2012, p. 124. Never be a servant in your heart. To work is nothing; the king on his throne, the priest kneeling before the Holy Altar, all people in all places had to work, but no person at all need be a servant. James Stephens in: The Charwoman's Daughter, Macmillan, 1913, p. 144. Wallace Stevens in: Robert Buttel, Frank Doggett Wallace Stevens: A Celebration, Princeton University Press, 14 July 2014, p. 282. In that fierce light which beats upon a throne. Alfred Tennyson, Idylls of the King (published 1859-1885), Dedication, line 26. What rules the World? (also known by The Hand That Rocks The Cradle Is The Hand That Rules The World) reported in Bartlett's Familiar Quotations, 10th ed (1919). The love of Christ reaches to the very depths of earthly misery and woe, or it would not meet the case of the veriest sinner. It also reaches to the throne of the eternal, or man could not he lifted from his degraded condition, and our necessities would not be met, our desires would be unsatisfied. In veneration and the people's love. Boris Yeltsin in: Steve Romaine Soldier of Fortune 500: A Management Survival Guide for the Consulting Wars, Prometheus Books, p. 155. This page was last edited on 25 June 2018, at 20:14.